Here is a list of common issues you might face while creating discount rules and the solutions for them. 1. Created product specific discount rule. But discount does not show up? Does the problem occur in the variable products? T-Shirt is a good example of a variable product that has size and color as variants. T-Shirt with 3 sizes (small, medium, large as variants). Here T-Shirt is the parent product. 2. Category specific discount does not apply when multiple products are purchased ? 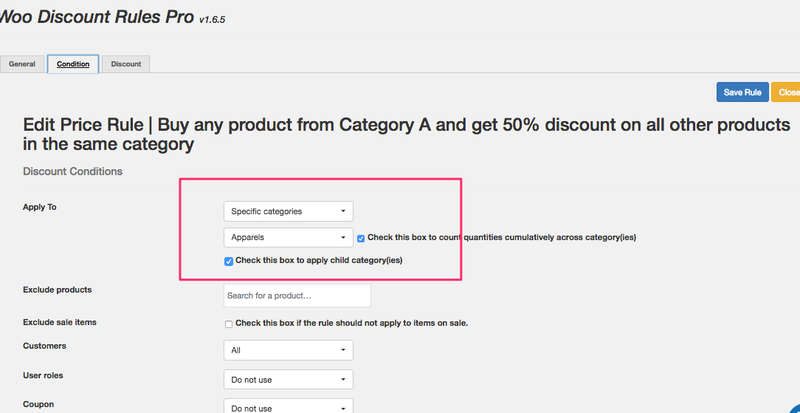 Example rule: Buy 10 or more products from Category A and get 15% discount. This means customer should get discount when he purchases 10 quantities of different products from category A or if he purchases 10 quantities of one product from that category. Notice that i have checked both the cumulative and also made it to apply to child categories. This might occur if you have multiple discount rules activated in your WordPress site. Well, almost all the dynamic pricing and discount plugins use the same pricing hooks and triggers for supplying the discount amount to WooCommerce (It is the standard API protocol set by WooCommerce). So if you have multiple discount plugins enabled, chances are that they are conflicting / overriding each other. 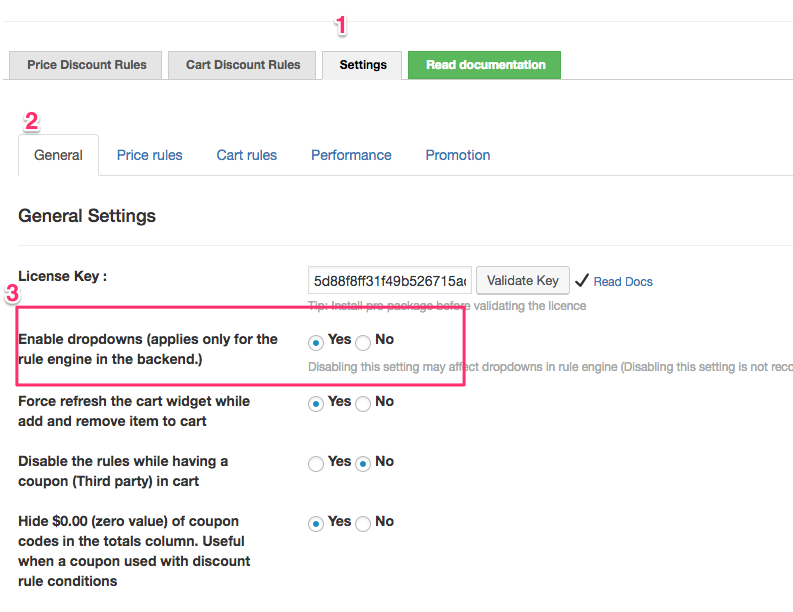 So try disabling any other discount or coupon plugin you are using in the Plugins section and see if that helps. We will assist you with it. 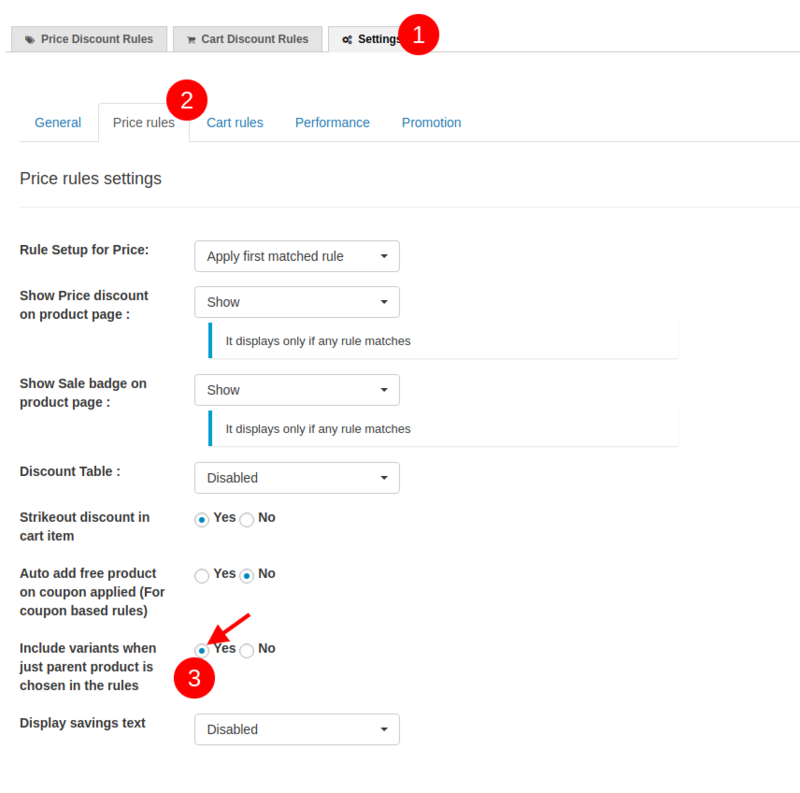 Please go to the Plugin settings and set the Show Discount Table in Product Pages. 7. Mini cart or Ajax cart is not reflecting the discount immediately. Only shows a discount upon refreshing. Force Refresh the cart widget while add / remove items to cart = YES. 8. Product page displays the same price after the Strike out price. This issue arises when the ajax request is called twice the same price. 9. Even after the Strike out is enabled few products are not showing the strike out in the product list. If the product list page has many products and the strike out is not shown after the ajax loading.